Earlier codenamed the 'PF0', Automobili Pininfarina's new electric hypercar will be called 'Battista'; to be revealed in flesh at the Geneva Motor Show in March 2019. 90 years after establishing the Carrozzeria Pininfarina coachbuilding company in 1930, its founder, Battista ‘Pinin’ Farina, had his dream realised as Automobili Pininfarina recently announced that its electric hypercar, the first car in its portfolio of luxury electric cars, will be called the 'Battista'. The legendary name recognises Battista’s dream to see a range of solely-Pininfarina branded cars on the roads. The announcement was made at Mahindra’s annual Leadership Symposium held at Pininfarina S.p.A’s headquarters in Cambiano, Italy, in the presence of Mahindra & Mahindra’s Chairman Anand Mahindra, Michael Perschke, CEO Automobili Pininfarina and Paulo Pininfarina (Battista's grandson). Earlier codenamed the 'PF0', the all-wheel-drive two-seater electric hypercar promises to be the fastest of its kind, as it will produce 1900bhp and 2,300Nm of torque. To put the colossal figures into perspective, an F1 race car produces just half the amount of power. Being all-electric, its 0-100km/h time is expected to be under two seconds! The company will unveil the hypercar in production guise at the Geneva Motor Show in March 2019. 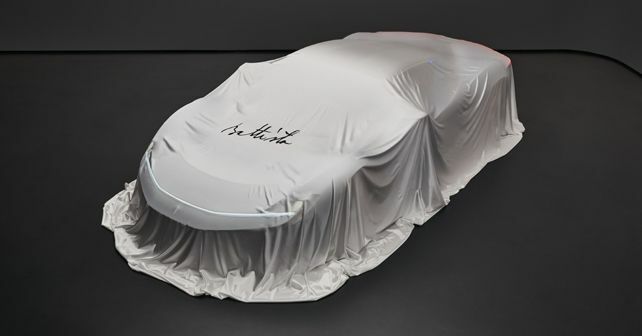 As revealed earlier, only 150 units of the Battista will be produced, all 'hand-made' under the watchful eye of Paulo Pininfarina, Battista’s grandson and current Pininfarina S.p.A. Chairman. When it goes on sale in 2020, the Battista is expected to carry a price tag of around USD 2-2.5 million.